On behalf of McGill University, Principal and Vice-Chancellor Suzanne Fortier expressed sincere condolences to the family of former Quebec Premier Jacques Parizeau, who died yesterday evening at age 84. 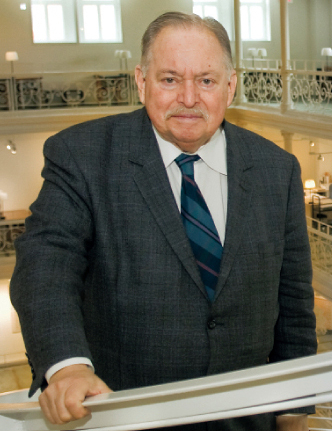 On behalf of McGill University, Principal and Vice-Chancellor Suzanne Fortier has expressed sincere condolences to the family of former Quebec Premier Jacques Parizeau, who died on June 1, at age 84. Flags at McGill were lowered today, in memory of Parizeau, and will remain at half-mast through to the day of the funeral service on Tuesday, June 9.